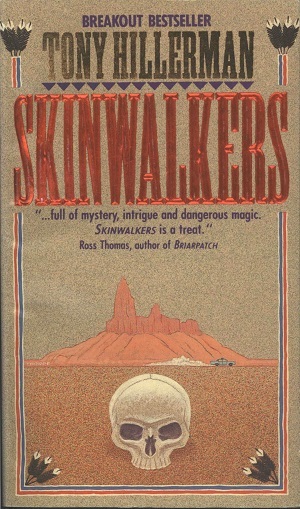 This is the first paperback Trade Issue edition of Skinwalkers, and was published in 1987 by Harper & Row in New York City, New York. The cover art was illustrated by Peter Thorpe and is identical to the first edition of Skinwalkers. Format: Paperback, 17.7 x 10.5 cm. Binding: Full-colored paper covers with the author, title, and publisher's logo printed vertically on the spine.